This itinerary features the Sirimon - Naro Moru route for circumnavigation getting scenic and different views of Mount Kenya. See detailed itinerary. 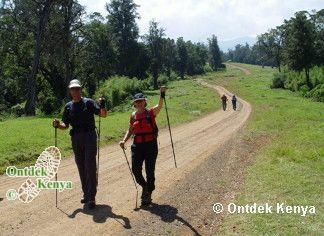 This trekking ascends via Sirimon route and descends via the Naro Moru route, both very scenic routes with different landscapes. 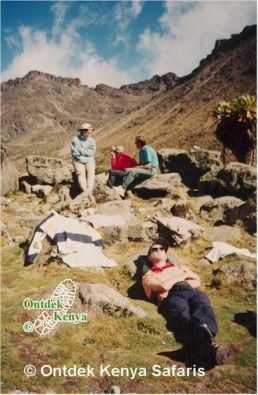 This is a fully supported Mount Kenya climb with accommodation in mountain huts. See detailed itinerary.